I'm not sure when this was painted, nor do I know who the artist is, but the painting itself is rather crude and of very low artistic quality, yet I still wanted it enough to buy it on ePay, and since it was just delivered today, I decided to post it here. 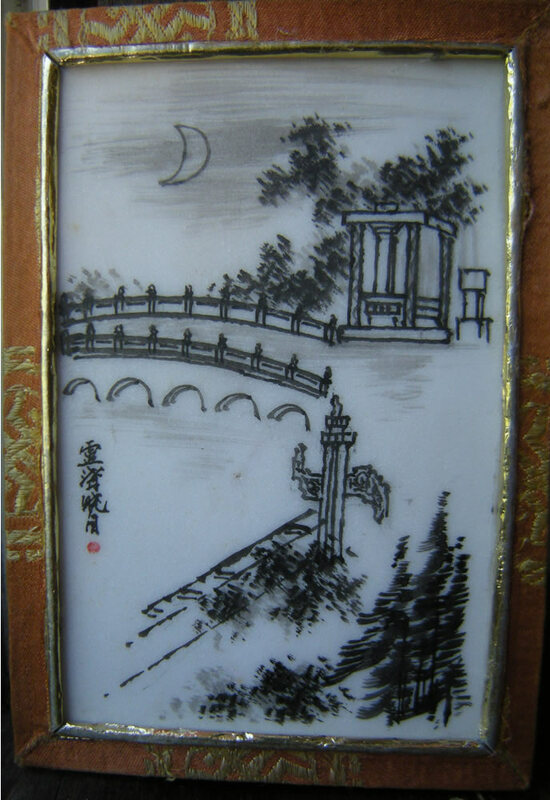 It's a hand painted marble tile of the Lu Guo Bridge near Beijing. 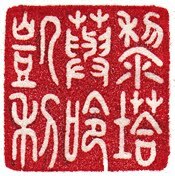 The inscription reads 盧溝曉月, Lú gōu xiǎo yuè, translated to english as "In the Lugou bridge to appreciate the moon". Thank you to my friend Hung-Yueh Hsu in Taiwan for the translation. The tile is wrapped in a handmade cloth frame and is only 3 1/4" x 4 1/2"
It definitely appears to be a one of a kind hand made work.